According to Curbed Atlanta, there are more than 40 major construction projects either under way or planned in Midtown. Below are several projects that are expected to be delivered in the coming years and are currently underway. We are focusing on developments that are transformative and will help redefine and enrich the community for decades. We included a list of the apartment and office renovation projects at the end, each of which will also have a positive impact on the core of Midtown not only through their residential offerings, but by bringing retail to the streets below. We purposely excluded projects that have not yet started. We have been in Atlanta long enough to know not to get too excited about projects that have been announced but are not yet underway. Trump Tower, anyone? The $375 million, John Portman & Associates-designed mixed use complex is expected to open in early 2019. The massive development will be largely occupied by Georgia Tech and will total 22 stories and 770,000 square feet of office space, a computing center and retail around an open plaza. The Southeast’s first mixed-use development with two office towers totaling 720,000 square feet, residential condos, a 467-room hotel and a 163,000-square-foot retail center is undergoing a major renovation, which will transform the corner of Peachtree and 14th streets and boost the Midtown icon’s retail offerings. It is expected to be completed in the summer of 2018. The venerable Fox Theatre is redoing its northeast corner, which once included Churchill Grounds, as well as the rooftop. The new lounge will have 8,000 square feet of combined indoor/outdoor space. It is expected to be completed in the fall. 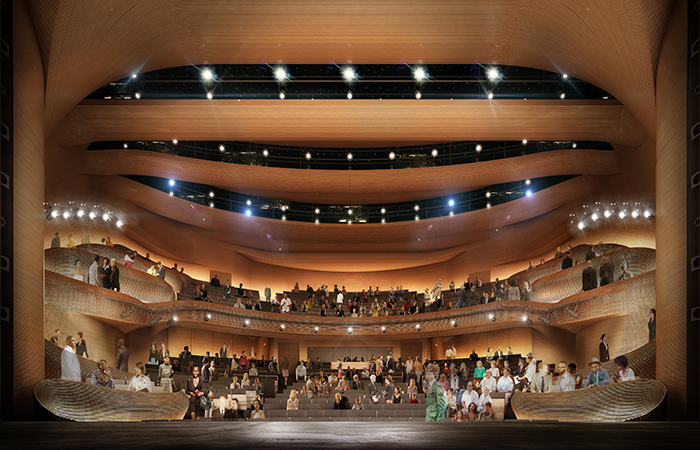 Atlanta’s premier arts collective - home to the High Museum of Art, the Atlanta Symphony Orchestra and the Alliance Theatre - raised a record-breaking $110 million, part of which will be invested in a new theater for the Alliance. The Emmy-award winning troupe will be on the road until the fall of 2018, when it’s new Coca-Cola Stage opens just in time for its 50th anniversary season. Located at Centergy North at Technology Square on Spring Street, this 750,000 square foot office building will provide the global technology company with a state-of-the-art presence close to Atlanta’s rich innovation centers and leading academic institutions, including Georgia Tech. It is expected to be complete in 2018. Northside Hospital is bringing its world-class healthcare to Midtown with the help of Brand Properties and Cooper Carry. Northside will occupy a majority of the 12-story, 170,000 square-foot building with the Northside Hospital Imaging Center, primary care offices, a cardiology department and a street-level urgent care center. Proton therapy is the next generation of radiation oncology, using protons to precisely treat cancerous tumors. Located across the street from the Fox Theatre, the building is underway though a completion date has not been announced. This will be a 38-story tower with 400 units and 6,500 square feet of street level retail. We gave this particular project an “honorable mention” because right next door, Whole Foods is building a three-story, 72,000 square-foot grocery store.